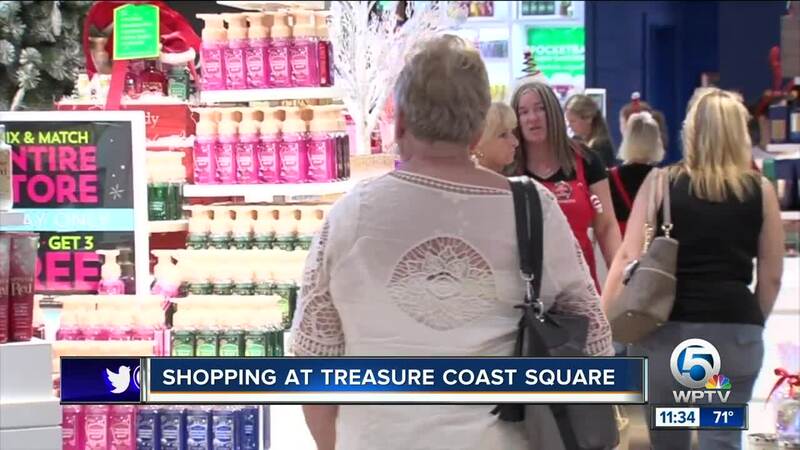 With stomachs full of turkey and Thanksgiving fixings, people were already filling up shopping bags Thursday night in West Palm Beach. RELATED: Area store hours on Black Friday | Stores with the best Black Friday deals | Travel deals for Black Friday & Cyber Monday | 7 food freebies and deals you can get on Black Friday | How do Black Friday prices stack up? 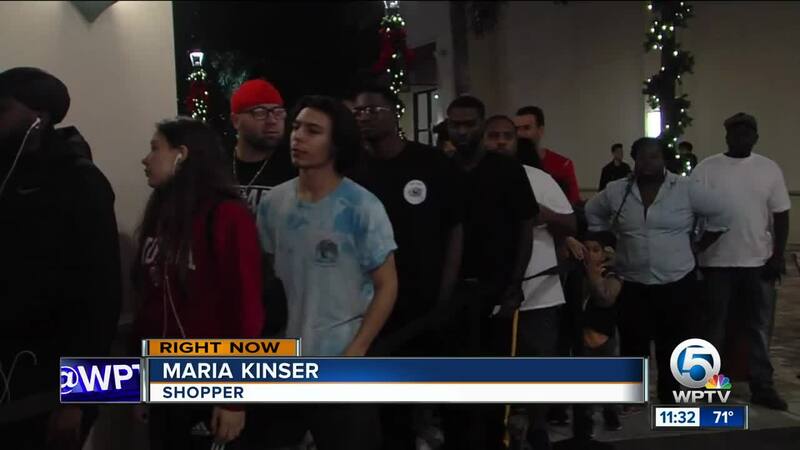 “I’m not really a Black Friday goer usually, but 40 percent off and on Thanksgiving, all my family is back in New York, so might as well get some deals," said Kyle Surfis, who bought shoes and clothes at the Nike store at the Palm Beach Outlets. But some shoppers even skipped the turkey first, like Jonah Wasserstrom who got to the line at Best Buy at noon on Thanksgiving. “No, my tradition is this," said Wasserstrom. "I just think it’s a rush. You go in and there’s a little bit of a crowd. It’s entertaining. There’s a little bit of a hustle to get your product. It’s cool. It’s fun." Best Buy on Palm Beach Lakes Boulevard in West Palm Beach opened at 5 p.m. Thursday to a long line of shoppers looking to score deals on electronics. “Thanksgiving tradition is pretty much to look for deals, pick the best one," said shopper Varun Kumar. Palm Beach Outlets opened at 7 p.m. The busiest store appeared to be Nike, which consistently had a line outside of it with shoppers waiting to get inside through midnight. "We’ve been here every year for like five years," Katie Sloan said. Palm Beach Outlets opens again at 8 a.m. for Black Friday. The National Retail Federation found about 20 percent of people who said they would shop during the holiday weekend planned to shop on Thanksgiving Day.